Audioboom / Truck drivers who haul goods from the nation's busiest port complex have voted to walk off the job. AP correspondent Matt Small reports. 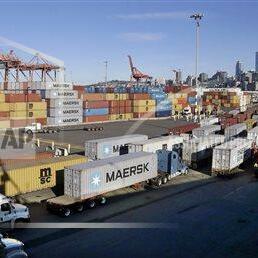 Truck drivers who haul goods from the nation's busiest port complex have voted to walk off the job. AP correspondent Matt Small reports. Fans are celebrating Star Wars today. AP correspondent Matt Small explains why.